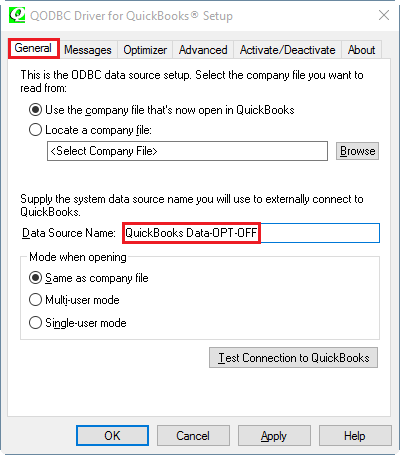 I am using QODBC access QuickBooks Data. 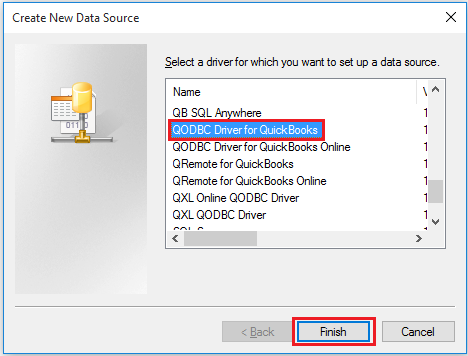 I have linked all QuickBooks tables using QODBC. 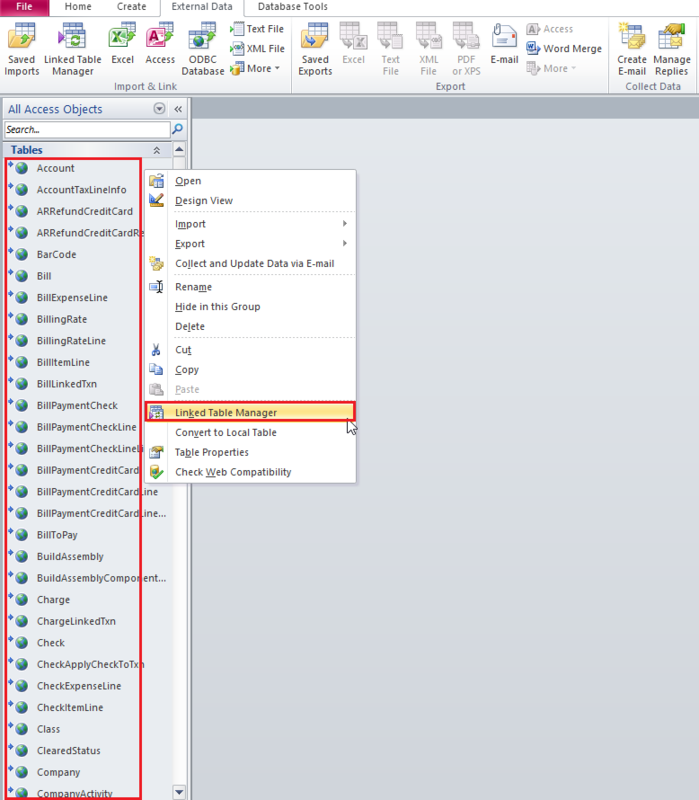 I want to use Customer table to be Optimizer OFF and rest of the tables to be Optimizer ON. 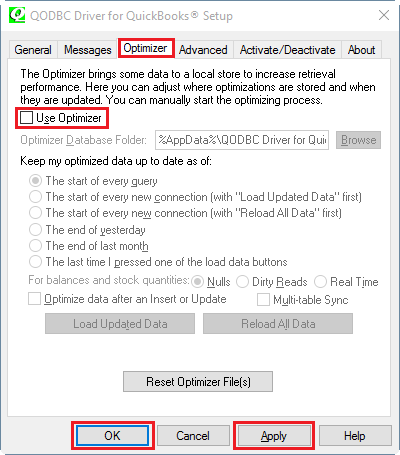 As you need the Customer table to be Optimizer OFF and rest of the tables to be Optimizer ON. 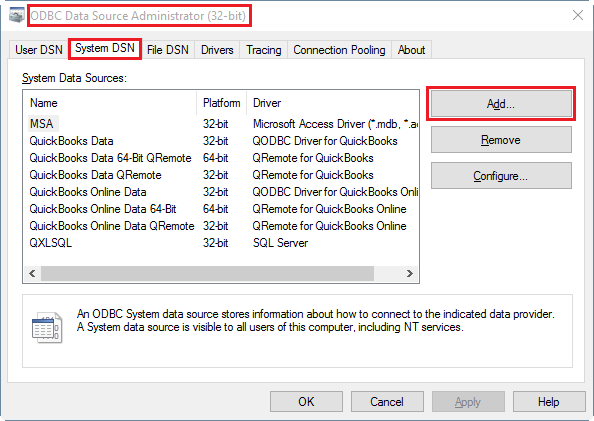 I would suggest Using a separate DSN with Optimizer Off for the Customer table. 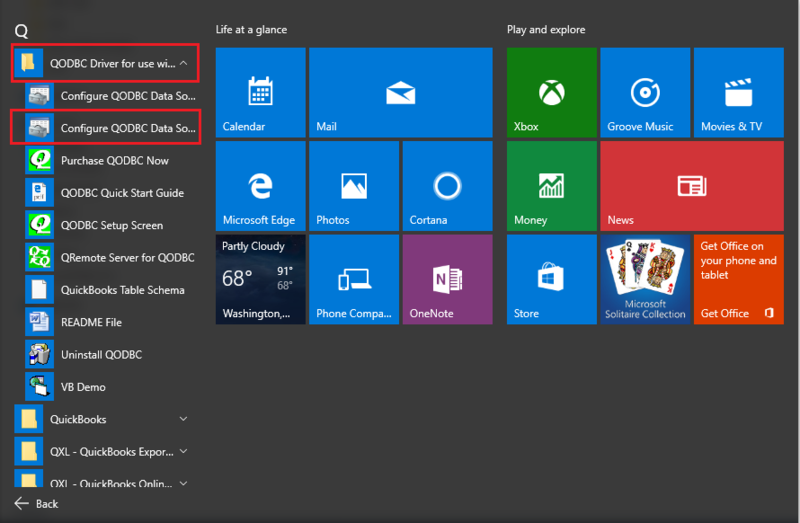 Switch to your MS-Access application. 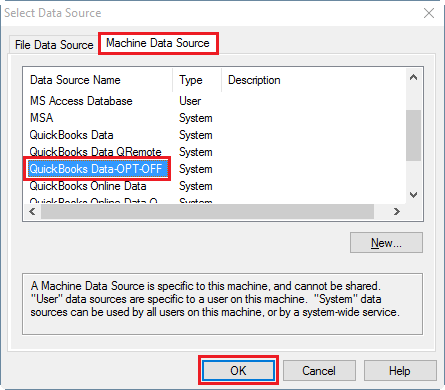 I have already linked all tables in the MS Access Database using "QuickBooks Data" DSN with Optimizer ON option.Right-click on Linked tables and select "Linked Table Manager". 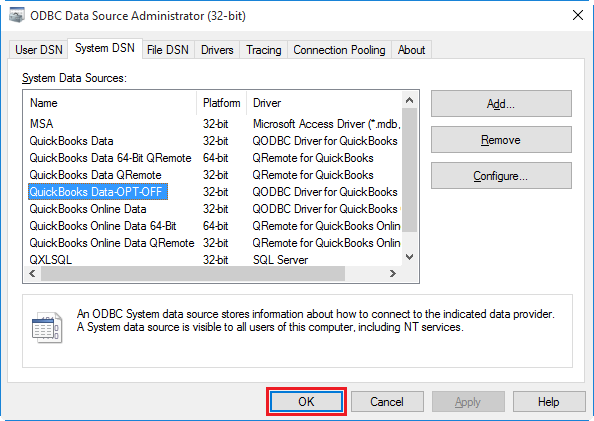 From the DSN list select newly created DSN from "Machine Data Source", Instead of using "QuickBooks Data", Select "QuickBooks Data-OPT-OFF"
Customer table DSN is changed to "QuickBooks Data-OPT-OFF" from "QuickBooks Data". Close "Linked Table Manager" by clicking "Close" button.